Results: 1 to 10 of a total of 132 results. 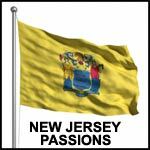 New Jersey born and raised I have lived in Jersey all my life and seeking to meet new friends. Does scorpio609 belong in this group?